Susan Stobbart Shapiro has been named a Trustee of the Anne Arundel County Bar Association ("AABA"). 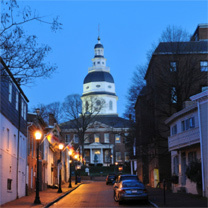 The AABA is a nonprofit, professional society of more than 1,100 attorneys practicing in Anne Arundel County and in other communities throughout the Baltimore-Washington metropolitan area. Established in 1931, the AABA works with its members to uphold the honor of the profession of law and promote the administration of justice in our region. We provide career development and networking opportunities that help our members enhance their legal expertise and excel in their careers. The AABA is also firmly committed to serving our local community and ensuring that all its members have equal access to our judicial system. Through the Anne Arundel County Bar Foundation, our members provide vital legal assistance to the underserved and support community-based agencies with charitable gifts and volunteer service.